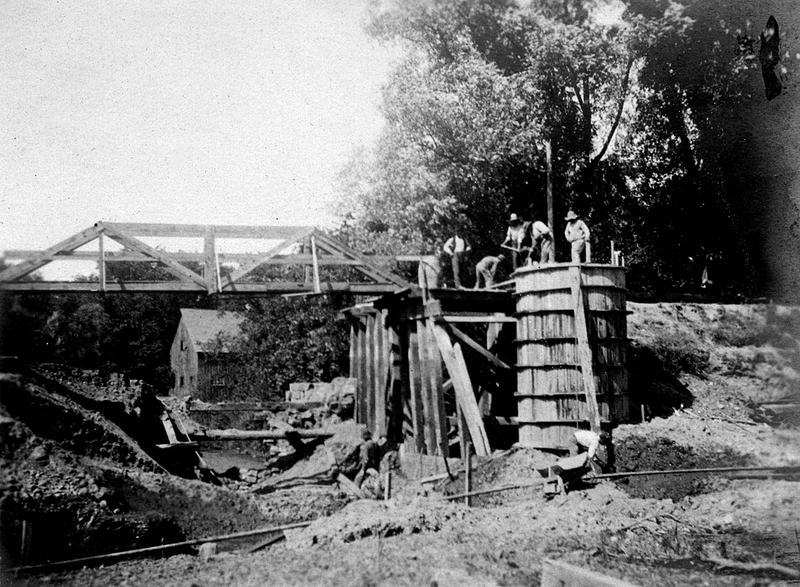 Two photographs taken by Martha Blow Wadsworth (wife of Herbert Wadsworth) show the building of a dam to power a mill at Ashantee, roughly where Littleville Road crosses Conesus Creek. 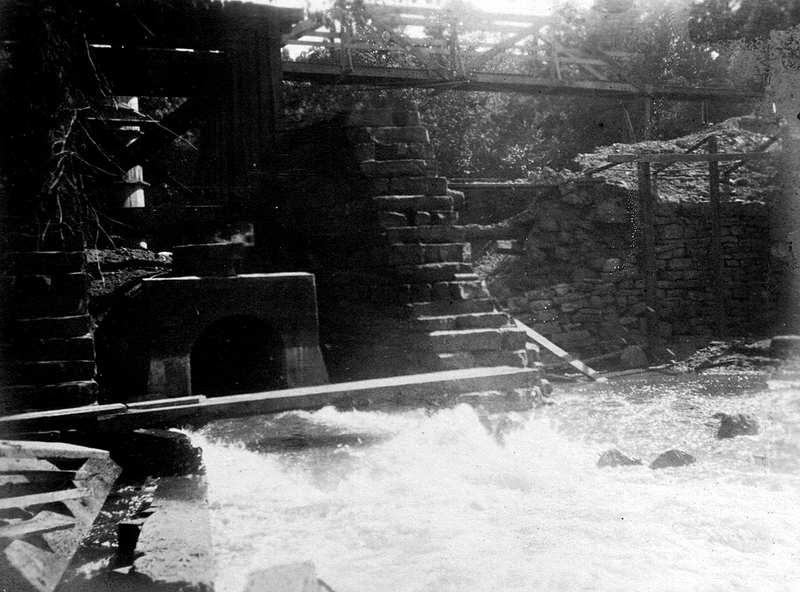 The captions read: "Upper side of dam at Ashantee in process of building 1904," and "Lower side of dam--unfinished." “Dam Construction at Ashantee,” OpenValley, accessed April 25, 2019, https://openvalley.org/items/show/690.